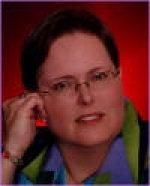 We'd like to welcome Melanie Atkins to Novelspot's hot seat. Oh, I mean, interview. Melanie Atkins--Hello, I’m Melanie Atkins, and I love to write! NS- As an author of romantic suspense, an editor and a reader, where do you find the time to do all the things that you do--and how do you choose? Melanie Atkins--It’s not easy sometimes. I usually write in the morning and edit in the afternoon, unless I have a pressing project I need to get out, and then I concentrate on that one until it’s done. Unfortunately, reading takes a backseat…although I do read whenever I can. I keep a book in my car and read anytime I have to wait for anything, when I eat by myself, even at the gas pump! NS- You have said before that writing is something that you've been able to do since your days in high school, but that you didn't really come back to writing and blossom as a writer until 1996, after your divorce, and taking a creative writing class. What was your life like before, and how has writing changed your life? Melanie Atkins--I really can’t remember what life was like before, other than that was when my two boys were young and I was busy with them. Writing has brought me to life and given me a driving passion, a fulfilling career, and many, many new friends. I’m happier now than ever. NS- I know you probably get asked this all the time, and sadly, I ask it all the time. But I find that the answer sometimes says something about the way one approaches the page: Where do you get your ideas; do you get writer's block; and if so, how do you handle it? Do you have any personal tricks to avoid it? Melanie Atkins--My ideas come from all over the place. Dreams, the news, something I happen to pass while driving. Someone once told me that “all life is material”, and I believe that. I do sometimes get stuck while plotting a book, not necessarily while I’m writing it—and that happens because I’m trying to take my characters in the wrong direction. If I step back and look at the whole picture, I can usually see where I went wrong and fix it. I also get input from friends. They can usually spot problems I can’t see. NS- Inside your desk is a drawer that has "stuff." --the drawer that you shove stuff in where there isn't time to put it up. What's in that drawer, and why is it there? Melanie Atkins--OMG. I have so many drawers like that. Too many. Everything under the sun is in those drawers, and it’s all there because I’m too lazy to find another place to put it. Why waste writing time? NS- How do you foresee the future of books as opposed to ebooks? Melanie Atkins--I believe people will always love print books, especially those who grew up with them and like the feel of them in their hands. The new kids coming up are different, however. They’re growing up with PDA’s, cell phones, and ipods…so, things may change. It’s hard to say. NS- What is there especially about (reading and) writing suspense that drove you to select that as your signature genre? Melanie Atkins--It’s what I love to read and watch. I love that edge-of-my-seat feeling, reading and watching movies and shows about cops, and anything containing a mystery. Forensic science fascinates me. NS- If you branched out into mainstream, or perhaps started writing in another genre, what would it be and why? Melanie Atkins--I can’t picture myself doing that right now, but never say never. I love cowboys. Maybe something with them…but not in the near future. NS- Who have been your greatest inspirations? Melanie Atkins--My mother, who’s battled health problems for years but never gives up. She’s taught me persistence, faith, and determination. NS- Everyone always asks this in every interview: what is your favorite music to play in the background as you are writing? Melanie Atkins--Nothing. I’m one of the few people who has the TV on while I write…usually playing episodes of my favorite show, Law & Order SVU. I’m addicted to that one and use it and its characters for inspiration. NS- Your preferred suspense writer: who what where when why? Melanie Atkins--Too many to single any one of them out. I love Tess Gerritsen, Linda Howard, Tami Hoag, John Sandford, Erica Spindler, Gayle Wilson, Karen Rose, Karen Young, Suzanne Brockmann, Sandra Brown, and Alison Brennon—because they all give me strong, fulfilling reads I can’t put down. NS- Do you feel that the ebook industry has lived up to its potential? What do you believe are the flaws and the strengths? Melanie Atkins--The ebook industry is growing by leaps and bounds, and I believe it will only get stronger. Audio books should take off too…with books that can be listened to on an ipod. I believe the future there is unstoppable. NS- What in general would you change about the publishing industry? Melanie Atkins--The way many print authors with larger houses look down on small press and epublished authors. I believe it’s wrong. A good book is a good book, no matter how it’s published, and just the act of getting one’s book out there, even in ebook form, is quite an accomplishment. I admire epub and print authors alike, and believe they all deserve the same respect. NS- Up to now, what has been your favorite book you wrote, and why? Melanie Atkins-- Blood Rite, my romantic thriller that’s out in ebook format right now on the Triskelion Publishing website at http://tinyurl.com/2nelfd -- and comes out in print in July. I pretty much channeled those characters and wrote the book in two months, which is quite a feat for me for a 100k single title. It’s set in post-Katrina New Orleans, which is still one of my favorite cities. NS- My hero, Nick Marconi, is a troubled detective who fights the pain of loss everyday. The job is all he has. I just love him. Here’s a blurb: Women who have dated New Orleans Police Department detective Nick Marconi are dying. Haunted by the deaths of his sisters and partner, Nick is consumed with solving these brutal crimes. He's walking a tightrope of control. The only person who can help him is psychiatrist Gracie Simmons, whose bad-cop father is behind bars. Determined to see Nick as a man and not a cop, Gracie makes him her special project...which puts her at the top of the murderer's hit list. For protection, she must turn to Nick. Can he get to her in time? Marilyn Heyman of Romance Reviews Today said, "The real-life characters and the chilling tension in BLOOD RITE make this book a fascinating tale of romance and suspense." I’m thrilled by all of these great reviews and can’t wait for the print version to come out. I should have it to sign at the giant book signing on Wednesday, July 11, at the RWA National Conference in Dallas. Only one month to go! Terrifying family secrets, a revenge-seeking ex-husband, and an environmental nightmare threaten a woman desperate to start a new life in her dilapidated family home deep in the Louisiana swamp. For protection, she turns to the only man she believes she can trust—a rugged ex-cop with his own batch of secrets. NS- We'd like to thank you for visiting with us, Melanie, and we're looking forward to getting our hands on those books!